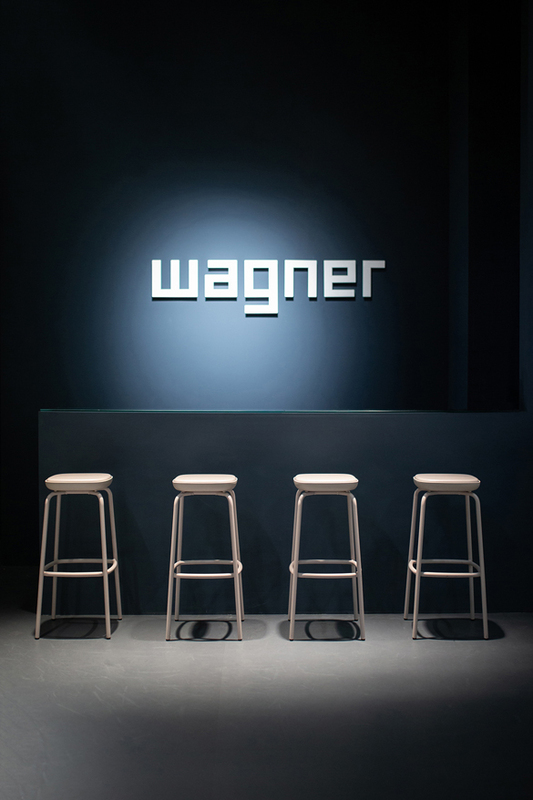 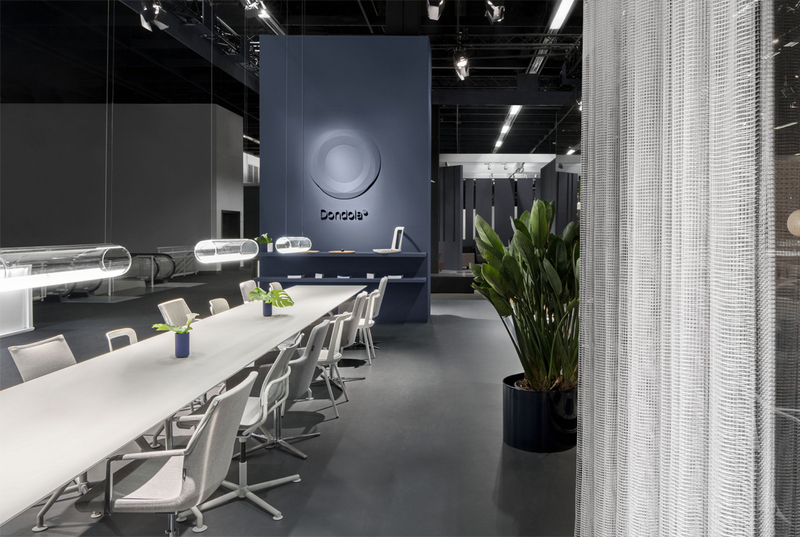 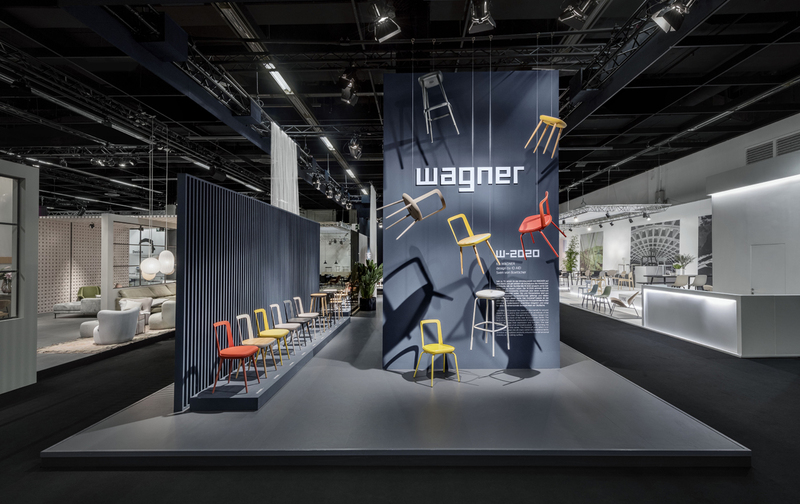 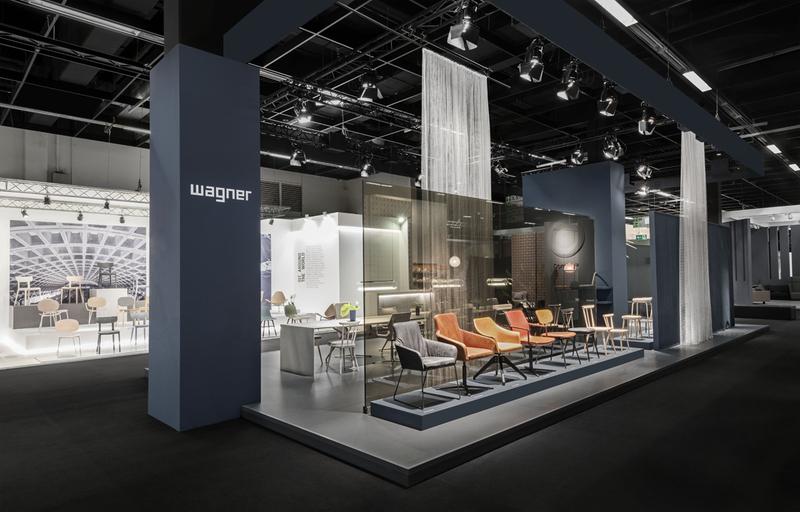 ID AID designs the booth for the furniture manufacturer WAGNER at the international furniture fair imm cologne 2019. 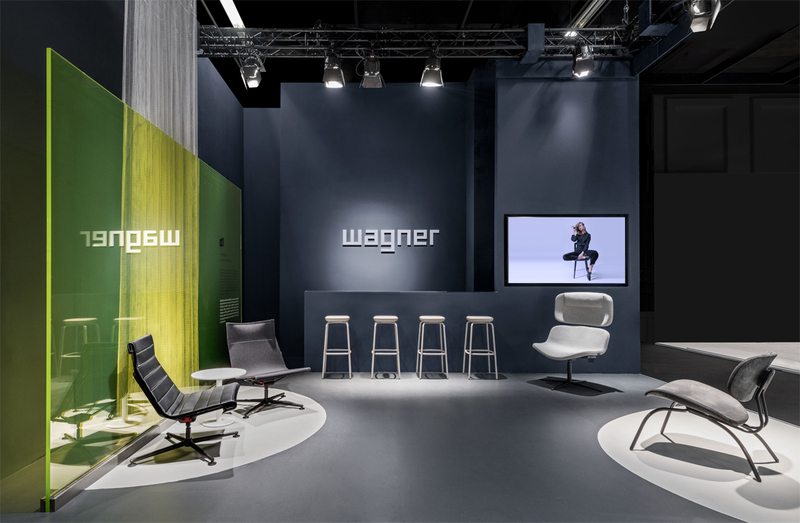 The main focus of the booth is on the presentation and staging of the new and extensive product family W-2020. 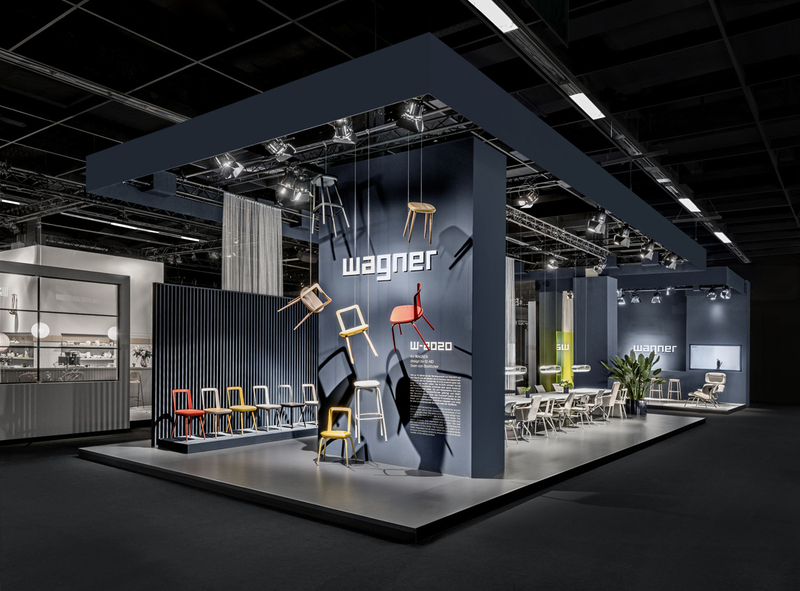 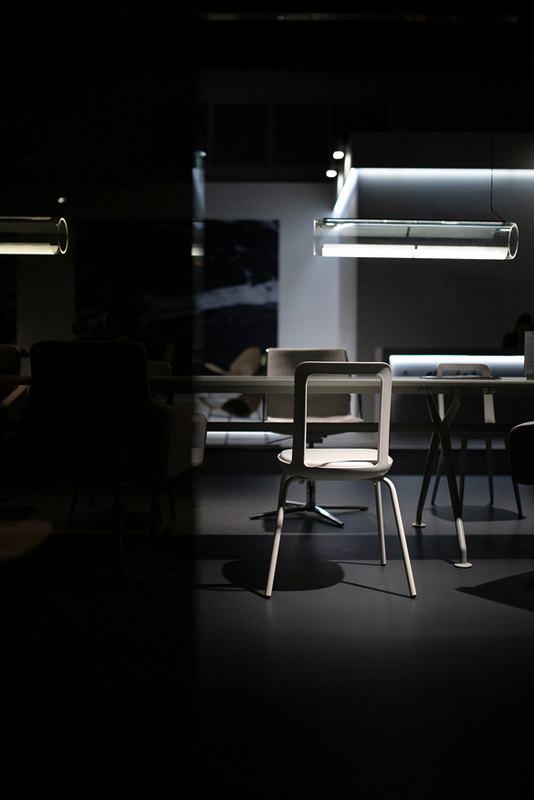 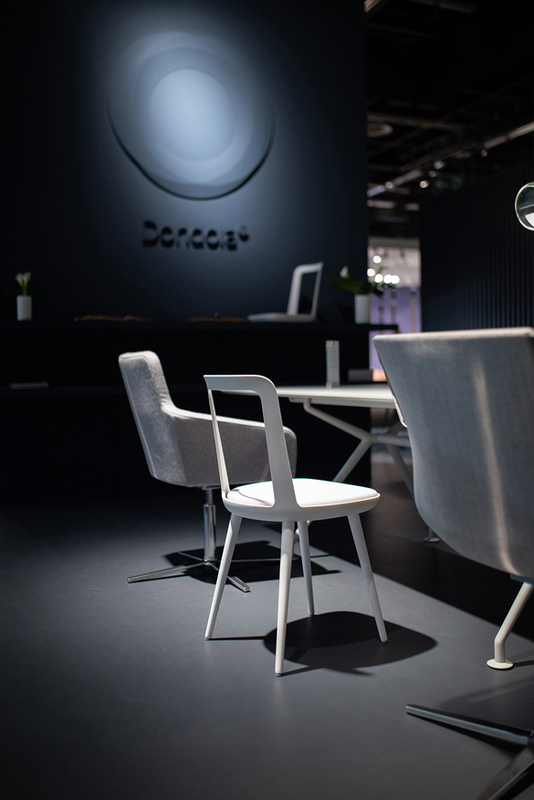 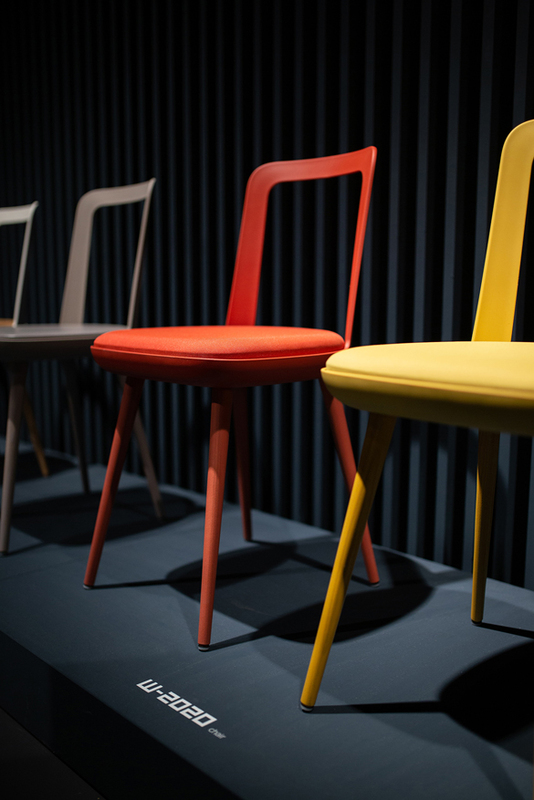 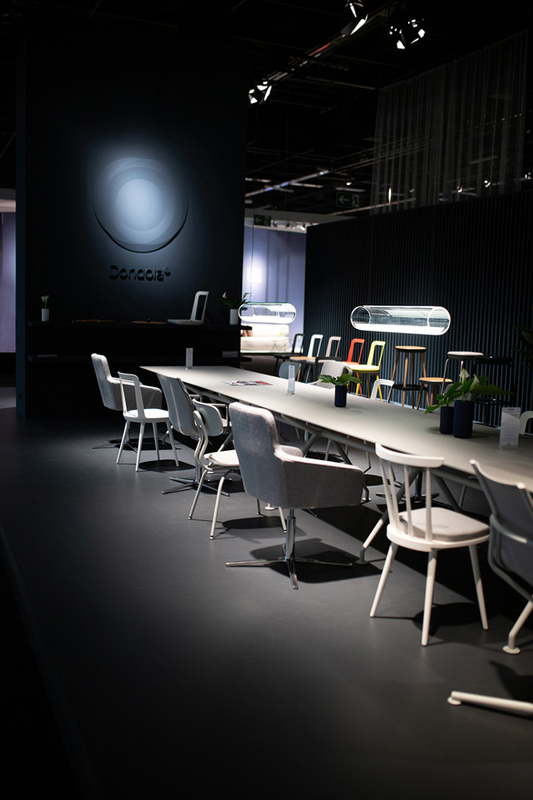 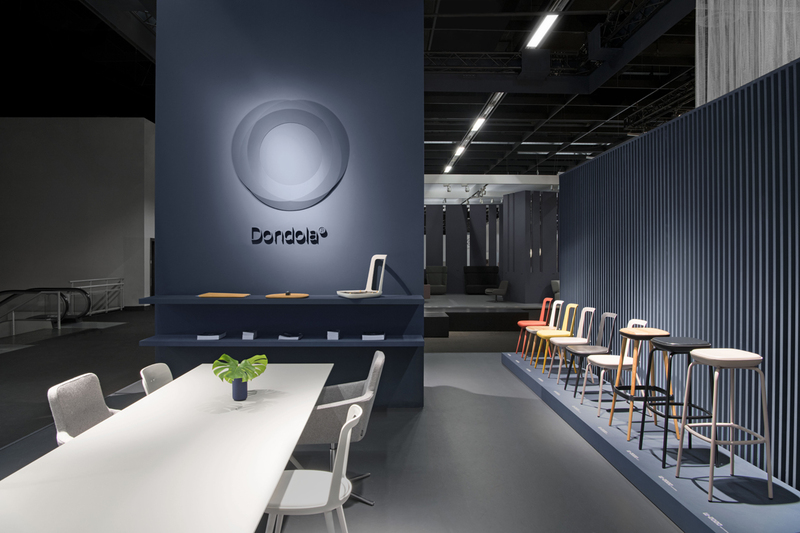 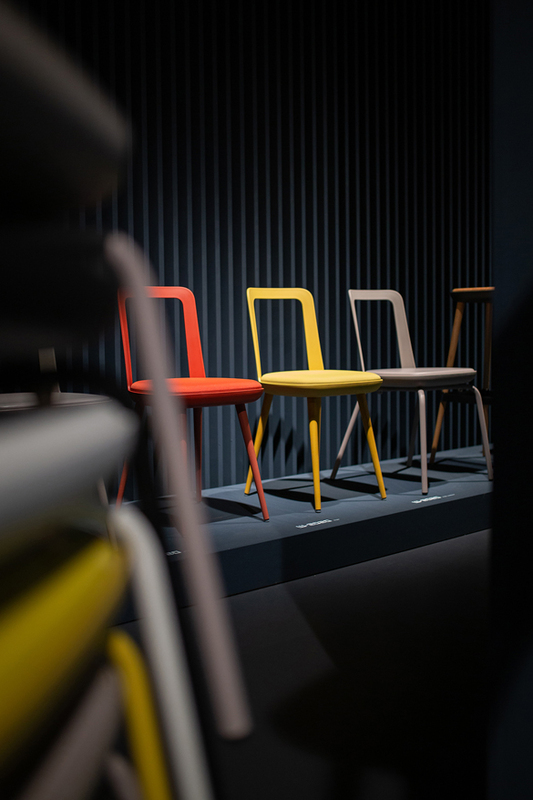 The center of the booth is formed by the "Tavola Grande", where Wagner's wide range of chairs is presented with the innovative Dondola principle. 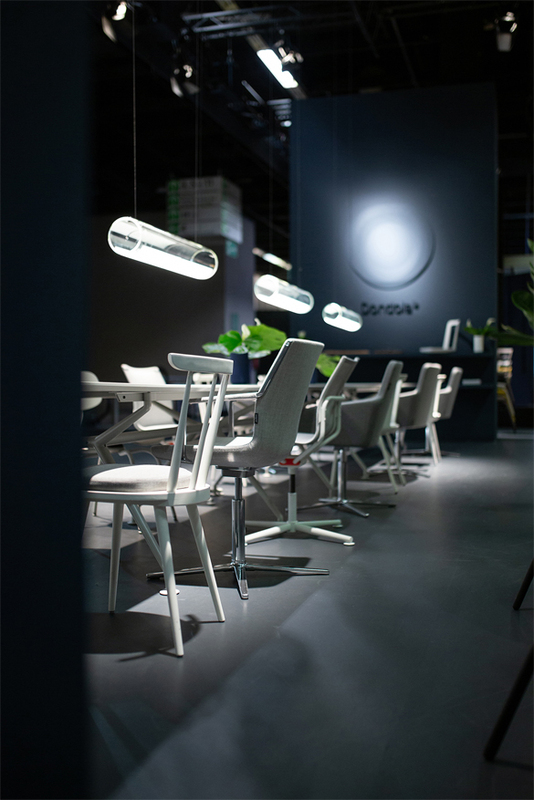 Playfully used, semitransparent materials form clear zones. 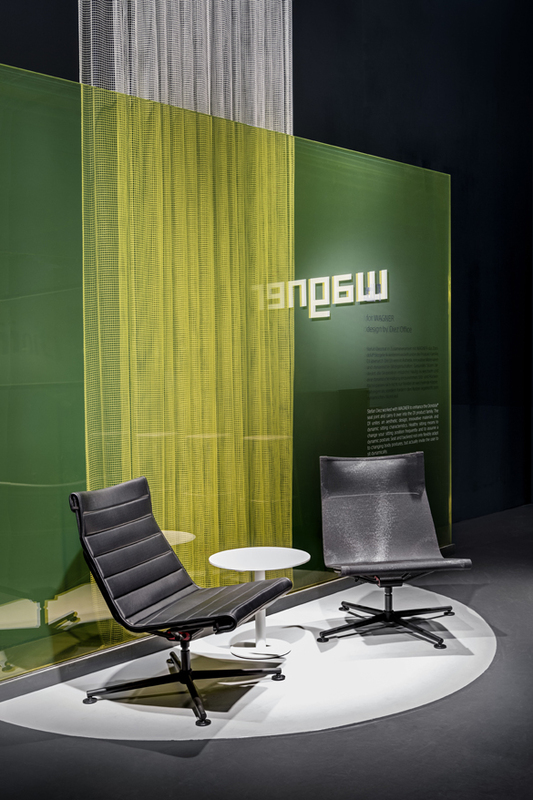 Superimposed walls of colored glass, wooden lamellas and reticulated textiles create overlayering room depths and contrasting layers.